NIA CHARLESTOWN NEVIS (September 28, 2016) — Premier of Nevis and Minister of Finance Hon. Vance Amory says the Nevis Island Administration (NIA) is undertaking a number of Capital projects to support the efforts of the private sector investment programme to stimulate growth within the economy. “The NIA has embarked on an ambitious capital expenditure programme for 2016. Total capital expenditure for 2016 up to August stood at $22.3 million, a 50 percent increase when compared to what was achieved in 2015. “These projects include the continuing Nevis Water Supply Enhancement programme, the improvement to Hanley’s Road and other village roads, the extension to the Abattoir and Veterinary facilities, the completion of the cafeteria at the Joycelyn Liburd Primary School (JLPS), the rehabilitation work on a section of the [Vance W. Amory International] Airport runway and preparatory work for the new laboratory and radiology unit at the Alexandra Hospital,” he said. 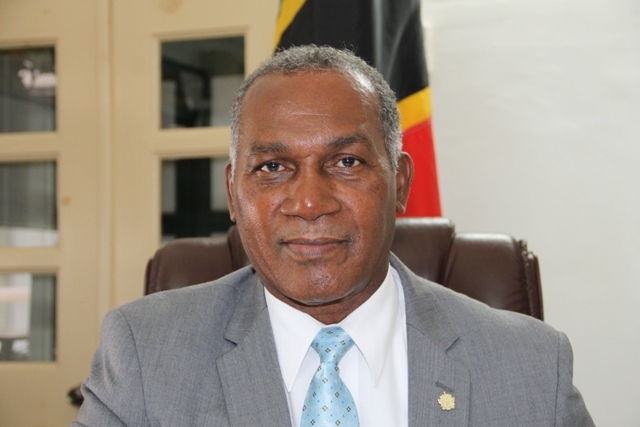 Funding for the projects, the Finance Minister noted, is coming from Nevis’ share of passport processing fees, due to improved access to the resources of the Sugar Industry Diversification Fund (SIDF). Mr. Amory also stated that the administration continues to make a concerted effort at strengthening the Tourism Sector through marketing campaigns to increase airlift and build destination awareness in the United States of America and the United Kingdom, through maximization of the Alexander Hamilton brand. In the area of construction, he said that the administration continues to rely heavily on the inflow of foreign capital to sustain the Construction Sector, mainly through the Citizenship by Investment (CBI) programme. The Finance Minister added that residential construction continues to be the dominant area of construction. He attributes the trend to the liquidity of the banking sector, coupled with the ongoing programme of concession to first-time homeowners granted by both the NIA and the Federal Government. He said ongoing efforts to improve the business environment and addressing the skills gap would provide an enabling environment for private sector development, to help attract foreign investment which is crucial to financing the economy.